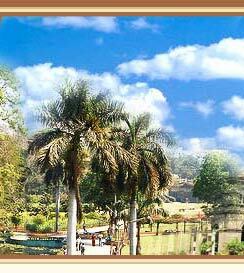 This article provides the list of places to visit on Pune sightseeing tours. Know about the tour to Puna, India. The city of Pune is considered to be the cultural capital of Maharashtra. Standing as a proof to this are the numerous monuments of the city. Right from forts to gardens to museums, each and every tourist attraction of Pune boats of great architecture. A tour to the Puna city of India is incomplete without a visit to these monuments. They serve as a reminder of the history as well as culture of the city. In the following lines, we have provided information about the places to visit on Pune sightseeing tours. Aga Khan Palace is situated in the Yerwada area of Pune. Sultan Mohammed Shah, Aga Khan III, got the palace constructed in the year 1892. The aim behind the construction of the Aga Khan Palace was to provide employment to the people of the nearby areas, who were hit by famine. Film and Television Institute of India (FTII) of Pune is situated on the Law College Road, at a distance of one km from Deccan Gymkhana. Spread over an area of 21 acres, the institute was established on the recommendation of Film Enquiry Committee. Lal Mahal (Palace), dating back to the year 1634, was constructed by Sahaji Bhonsale, Shivaji's father. When Sahaji received territories in Pune from Bijapur Sultanat, he sent his wife, Jijabai, and his son to the city and got the palace built as their residence. 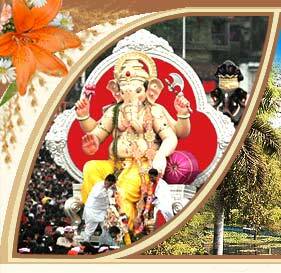 Parvati Hill and Temple are quite famous amongst the tourists visiting Pune. The hill is situated at a distance of approximately one km from Swargate and four km from Deccan Gymkhana. The picturesque beauty of the hill is what draws tourists here. Raj Bhavan of Pune, also known as the Government House, dates back to the year 1866. It is situated in Ganeshkhind and was designed by the famous architect, James Trubshawe. Built under the British Raj, Raj Bhavan was originally meant to be used in summers by the government of Bombay Presidency under the British Raj. Shaniwar Wada is situated in Shaniwar Peth, near the railway station of Pune. It is a fort, whose foundation was laid down by Peshwa Baji Rao in the year 1729-30. It took two years to complete the fort and later, many additions were also made to it by the successors of Baji Rao. One of the greatest architectural beauties of the Pune city is the Shindyanchi Chhatri, situated in Wanowrie. It is a memorial dedicated to the great soldier, Mahadji Shinde. For twenty years, between 1760 and 1780, he served as the commander-in-chief of the Maratha army under the Peshwas.